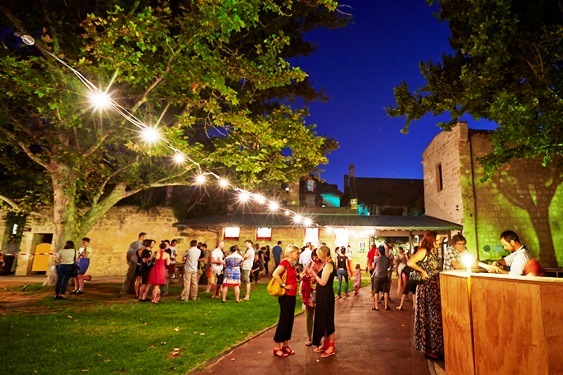 The City of Fremantle operated Fremantle Arts Centre (FAC) is one of Western Australia’s major arts organisations and a much-loved local facility. It offers a rich cultural program of exhibitions, residencies, art courses, music and events. Housed in a neo-Gothic style building constructed by convicts in 1860 and set in beautiful gardens, FAC is also an important heritage site. FAC has a cutting-edge exhibition program, showcasing a wide range of contemporary visual art by local, national and international artists. The Fremantle Arts Centre Print Award, Australia’s richest and most prestigious printmaking prize, is an annual highlight on the exhibition calendar. FAC also supports practitioners through an in-demand Artists in Residence program. Visit the Fremantle Arts Centre website to find out more about the centre, events and education program. FAC offers an extensive range of fun and affordable arts courses for kids, teens and adults. Running on weekdays, weekends and evenings and catering to all abilities from absolute beginners to advanced artists, there’s something for everyone. The Arts Centre is also a premiere live music venue, with performances all year-round. Over summer, there are free concerts by leading local and touring acts as part of the Sunday Music series. FAC’s South Lawn is also the venue for big-name touring artists such as Nick Cave, Paul Kelly and Elvis Costello. FOUND at Fremantle Arts Centre, the on-site shop, stocks WA's largest range of unique gifts and wares designed by local artists. FAC is also home to Canvas Café. Fremantle Arts Centre is open 10.00 am – 5.00 pm, 7 days a week. Entry is free and free wifi is available in the grounds.